"These are the times that try men's souls. The summer soldier and the sunshine patriot will, in this crisis, shrink from the service of their country; but he that stands by it now deserves the love and thanks of man and woman. Tyranny, like hell, is not easily conquered; yet we have this consolation with us that the harder the conflict, the more glorious the triumph". It is left to be seen whether May 23rd, 2017, will go down in the annals of history as the start of the Dominican Revolution, but one thing is for certain; we need one desperately. The Roosevelt Skerrit administration is on the verge of legitimizing through legislation, bribery for votes. Mr. Skerrit has been busy blowing smoke out of his posterior in an attempt to convince us that what he is about to do is not what it is, but like anything being ejected from one's behind, Mr. Skerrit's diatribes stink like this law. "For the avoidance of doubt, the transportation of electors or the facilitation of the transportation of electors to or within Dominica for the purposes of an election does not constitute an offence unless the transportation is provided or facilitated with the intention to corruptly induce an elector to vote for a particular candidate for whom or party for which the elector would not otherwise vote". Mr. Skerrit is undoubtedly pursuing this course because there is a lawsuit languishing under judicial review relating to the 2014 plebiscite in which there is documented proof that his party engaged in acts which, should this case be allowed to proceed and adjudicated, would determine that Mr. Skerrit and his party are guilty and were clearly in violation of the law, and would face serious consequences. Therefore, to preclude any negative actions coming from the courts, Mr. Skerrit has introduced this legislation to both kill the pending case, and simultaneously open up the floodgates for him to bribe voters again with impunity. The proverbial win-win. But this must not be allowed to occur. The citizens of Dominica must stand up to Mr. Skerrit. The 17,000 voters who rejected Mr. Skerrit in 2014 must again rise to the occasion and stop him dead in his tracks if, for no other reason being just this: Mr. Skerrit is on the verge of making your sacred right to self-determination useless. This is not hyperbole. If we allow this legislation to pass, Mr. Skerrit will then be able to import sufficient voters to flood each constituency he believes that he might lose in an election. We must remember that Mr. Skerrit has at his disposal a list of tens of thousands of "new citizens" who have the right to vote in Dominica. 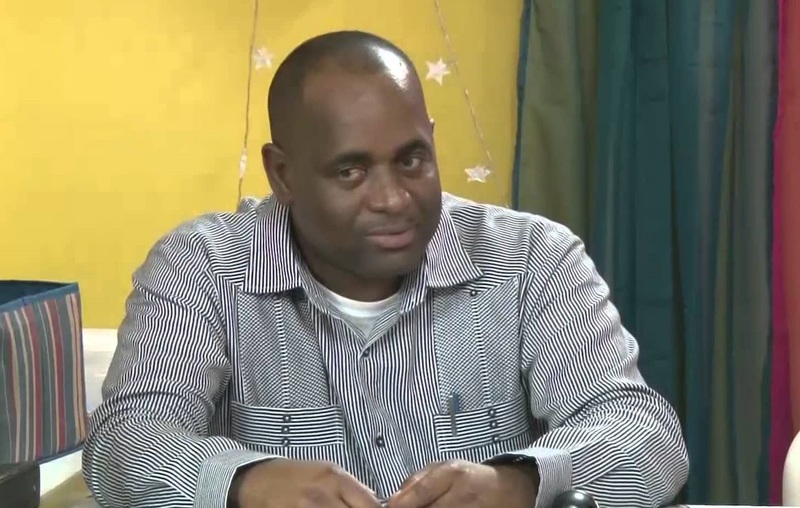 Mr. Skerrit, in his dog and pony road show that he calls town hall meetings, is telling us that these "new citizens" cannot vote because they do not reside in Dominica. But we must also remember that the requirement to live in Dominica to be able to vote in an election is also a law on our books that Mr. Skerrit can easily reverse because he has the majority in parliament. If Mr. Skerrit can destroy established law that makes it a violation to bribe an elector, what makes you think he cannot or will not do the same to the residency requirement? The two go hand in hand. I would not be surprised if that is not his next move. It is time for us to stop talking and do something before something is done to us. Roosevelt Skerrit has proven over time to be a thief of our country's treasure; he is poised to steal our elections as well. Mr. Skerrit's tehbeh accomplice, Attorney General Levi Peters, had difficulty explaining this law to us on DBS the other day, for good reason; he could not do so without masking his lies. Mr. Peters knows very well that "intent" is extremely difficult to prove. For a plaintiff to prove intent, he/she would have to present to the court sworn testimony from the benefactor admitting that the reason transportation was being or had been provided to the voter was to induce the voter to cast a ballot in favour of the benefactor to the detriment of another individual or party. Ask yourself; why would someone voluntarily admit to a crime knowing the penalty is a fine and/or imprisonment when simply not saying anything allows them to go free? There's no logical reason why an individual would do such a thing. This is why the time is now to stand up and fight against Mr. Skerrit and his corrupt government. I call on all Dominicans, in particular the youth, to do something for your country. Mr. Skerrit has impoverished us all while his bank accounts and those of his appeasers continue to bulge. Are we going to wait until the situation in Dominica deteriorates to what we now see in Venezuela? Are we going to wait until we're fighting each other in the streets? Mr. Skerrit and his ministers are a gang of thugs. In an unprecedented move, government minister Kenneth Darroux showed up in parliament today with a firearm, in clear violation of standing rules. Mr. Darroux at some point brandished his weapon and threatened a member of the opposition. Mr. Darroux also threatened to shoot whomever was outside. Presumably he was referring to the demonstrators outside parliament building assembled in opposition to the presentation of this legislation. Elements of the police, Mr. Skerrit's very own Tonton Macoute, did nothing. In fact, the police fired shots above the heads of demonstrators. What's next? Blood on the streets? Dominicans, get out into the streets. Now. Stop this madness before we end up like our neighbours in Venezuela. Get out there, for country. Get off your comfortable chairs, get into the streets. Do it for your children. Do it for the future. Do it to preserve some dignity. Do it before its too late. "When the situation was manageable it was neglected, and now that it is thoroughly out of hand we apply too late the remedies which then might have affected a cure. There is nothing new in the story. It is as old as the sibylline books. It falls into that long, dismal catalogue of the fruitlessness of experience and the confirmed unteachability of mankind. Want of foresight, unwillingness to act when action would be simple and effective, lack of clear thinking, confusion of counsel until the emergency comes, until self-preservation strikes its jarring gong - these are the features which constitute the endless repetition of history"
Mr. Churchill was speaking before the House of Commons, May 2, 1935, and he was addressing the failure of Europeans to contain German Chancellor Adolph Hitler when they had the opportunities to do so, but failed, and the end result of that failure was war amongst themselves. If we don't act now, are we prepared for a similar fate?